The University of Alberta Pandas know that they are going to Thunder Bay, Ont., with targets on their backs. The women’s curling team not only enters the U SPORTS/Curling Canada Curling Championships as reigning champions of the tournament, but of international university curling as gold medalists in the 2017 Winter Universiade. But despite coming in to the Championships with recent success and high expectations, the Pandas know that the dynamic of this tournament is different. A new team should not be mistaken for lack of experience. Goodhelpsen herself recently returned from claiming a bronze medal for Canada at the world junior curling championships in Gangneung, South Korea. 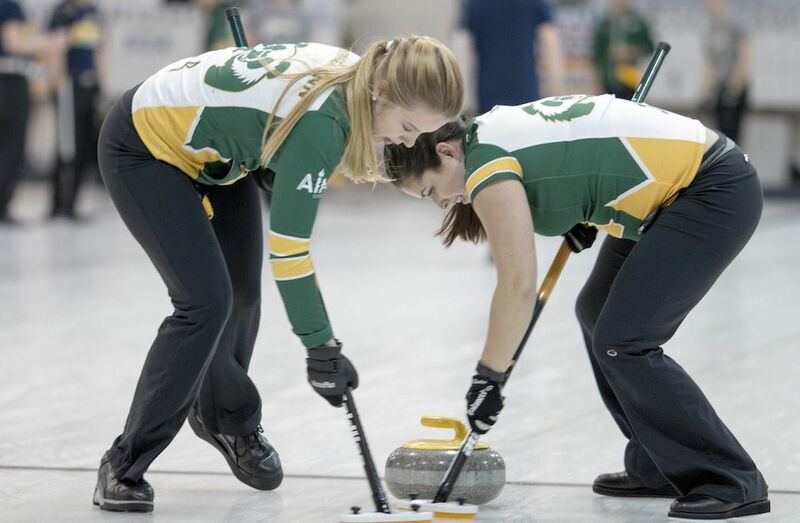 The opportunity to represent Canada was brought on by a gold medal victory for Alberta in the 2017 Canadian junior women’s curling championship. Each of these honours were shared with Pandas skip Kristen Streifel. The mix of national and international success and experience makes the Pandas stand out. The team that came away with the U SPORTS title in 2016 was lead by none other than two-time world junior curling gold medalist Kelsey Rocque. Her championship run with the Pandas granted her the opportunity to represent Canada and the University of Alberta at the Universiade in Almaty, Kazakhstan last month. Her global experience is yet another testament to the strength of Alberta’s curling program. The international successes play a major part in the allure of the Pandas program, something that is not lost on them. Coming off of Rocque and Coderre’s recent successes, the new Pandas set their sights on Thunder Bay, Ont., and the U SPORTS Championships with the hopes of building upon their already illustrious careers. 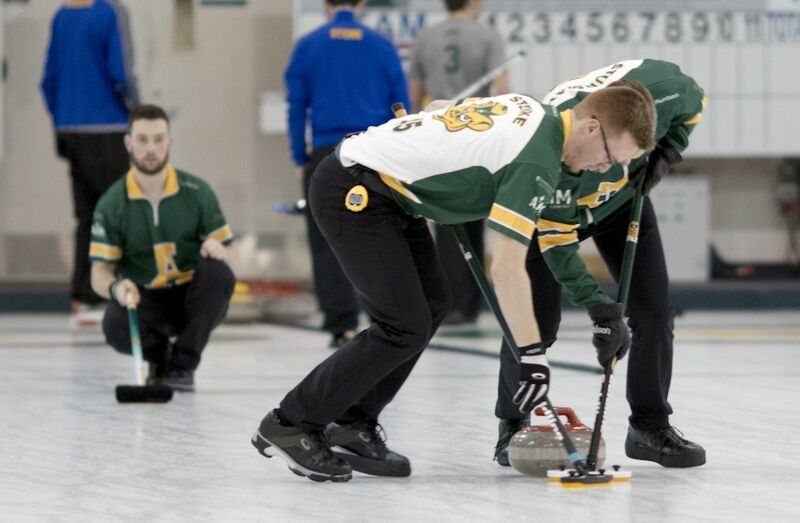 However, the core of their chances remains the same: it is built on a foundation of excellence built by the University of Alberta curling program over the years. Aside from the support of their athletics program and the high academic standard of the University of Alberta, which all of the student-athletes take the fullest advantage of and excel in, the Pandas are the home of great influence and experience. In having figures such as Rocque carrying the flag – both for Alberta women’s curling and Team Canada at the FISU Games as the delegation’s opening ceremony flag-bearer– this year’s squad finds great inspiration in her achievements and accolades while moving onto the national university stage. Of Coderre, the confidence in his curlers is a testament to his guidance as an ever-present and influential force in the program. Seeing the program’s successes first hand on so many levels has given him a great deal of experience, one that has put veteran coach and the program in the limelight and drawn considerable attention to the university for young, aspiring curlers. Those who play under him now sing his praises as an important figure in their lives. “Gary has been one of the most inspirational and influential men I’ve ever worked with, both as a coach and as a person,” says Streifel. “I’ve really learned so much on the ice from him, but also just how I represent myself and my character as an athlete and as an individual too. For all her influence, Rocque still attributes her successes and approach to curling to Coderre. With their sights set on another U SPORTS banner, the Pandas enters the season’s final competition brimming with confidence and familiarity with one another, while noting the skill-level of U SPORTS curling and the heightened competition that they will face. Although no longer wearing the green and gold, Rocque continues to have the utmost confidence in and respect for the Pandas as they enter the national competition looking to build upon the success that she helped bring to the program. The 2017 U SPORTS/Curling Canada Curling Championships take place Mar. 18-22 at the Fort William Curling Club in Thunder Bay.